MEAL Coordinator will lead on the design, implementation and management of a monitoring, evaluation, accountability and learning framework for all of the Child Protection, Education, Youths programs (and other projects as requested). MEAL Coordinator will support Emergency Response Manager and the team in the use of program evidence and learning for decision making, accountability and continual improvement of overall programs, advocacy and popular mobilization. The MEAL Coordinator provides methodological support to all the program teams. S/he also guarantees the quality and the relevance of any monitoring activities and internal evaluations carried out on the mission, together with any recommendations and analysis provided. • MEAL Coordinator will be directly report to Emergency Response Manager in Kibondo. • Will represent Plan International at Inter Agency Feedback Mechanism meetings. • Ensure documentation and sharing of Plan’s work across Plan International – nationally, regionally and at Global level. • Some experience of representation and ability to represent PLAN INTERNATIONAL effectively in external forums. • Ability to write clear and well-argued assessment and project reports. • The capacity and willingness to be extremely flexible and accommodating in difficult and sometimes insecure working circumstances. 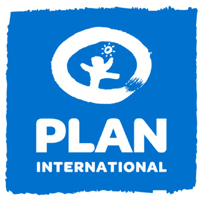 Plan International Tanzania is a child centered organization. Protecting the rights of the children is of paramount interest to us. Subsequently, all short listed candidates will undergo a police vetting check for criminal offences particularly relating to any type of child abuse. The successful candidate will be required to sign and adhere to the Plan Tanzania child protection policy. The above positions carry attractive remuneration as per Plan International Tanzania salary structure and incentive package. Plan International Tanzania is an equal opportunity employer. Interested and qualified Tanzanians are invited to send their applications enclosing detailed curriculum vitae, certificate copies of relevant education and professional qualifications together with names of three referees, and their contact. Therefore all applications should be sent to recruitment.tanzania@plan-international.org not later than 13th February, 2018.